For workers to feel comfortable in their indoor working environments, "thermal comfort" has to prevail. 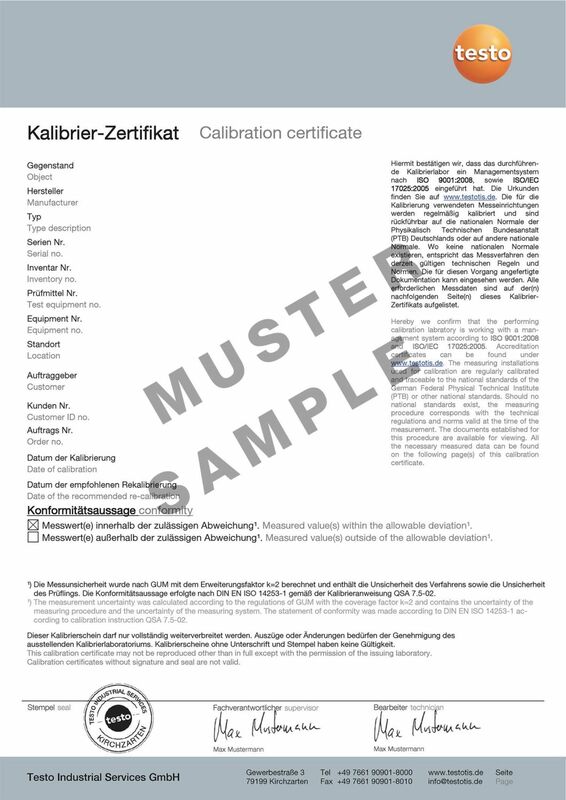 The EN 13779 describes this as a state that prevails when people are satisfied with the air temperature, humidity, air movement and thermal radiation in a room, and require neither hotter, colder, nor drier or more humid indoor air. 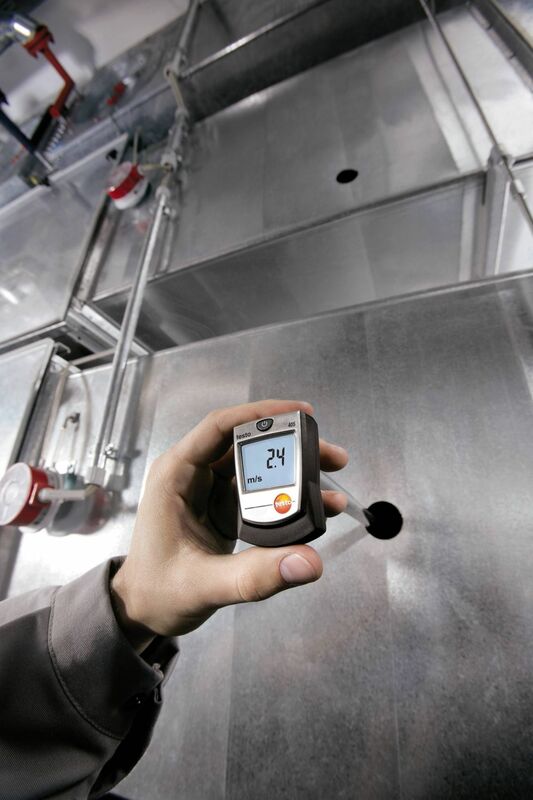 The testo 405 is particularly well suited to measuring indoor flow velocity. 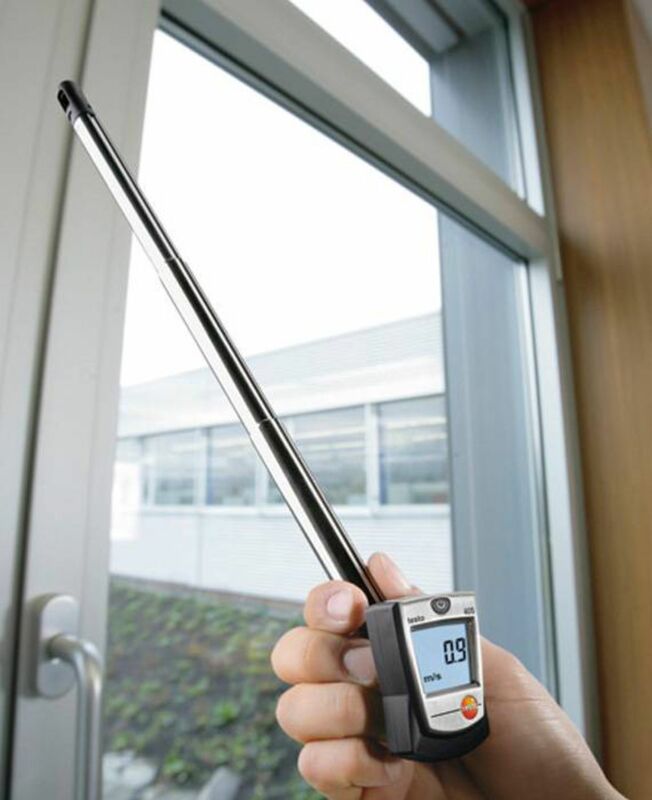 Low air velocities, such as at draughty windows, can therefore be precisely located and measured extremely accurately. 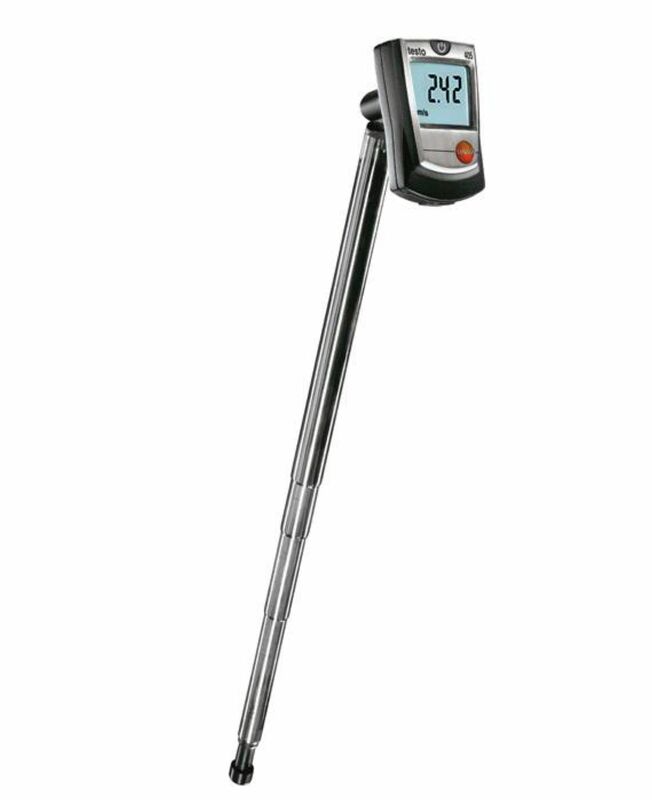 Our thermal anemometer testo 405 allows particularly cost-effective measurement of low air velocities. It enables the accurate and parallel measurement of air flow, volumetric flow and temperature. The extendible telescope allows measurement at a depth of up to 300 mm. The display can be swivelled into various positions, enabling optimum measurement readout.